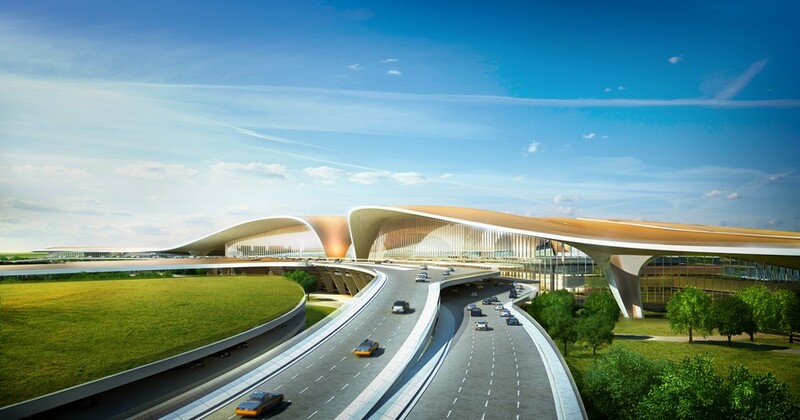 The Beijing New Airport terminal building will be extremely user-focussed, efficient, adaptable and sustainable for future growth to serve the world’s fastest growing aviation sector. 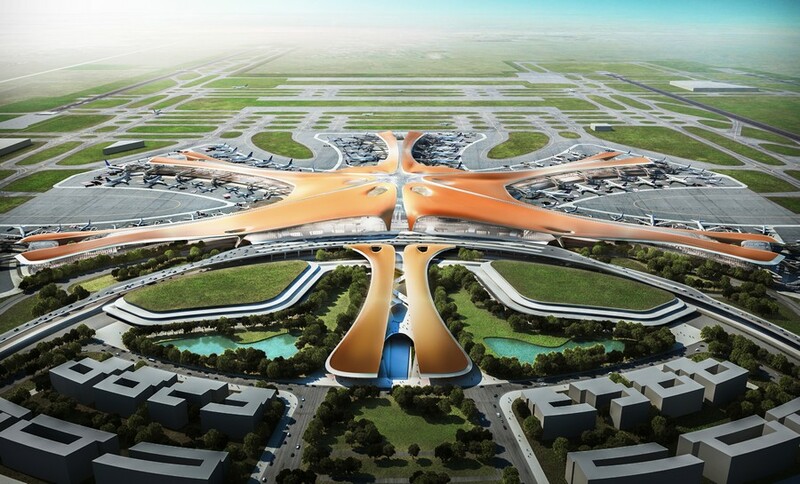 The client, Beijing New Airport Headquarters, adopted the 6-pier radial concept developed by ADPI as it gives exceptional functionality and flexibility. This layout design gives the most compact possible building, considering the required capacity as one of the world’s busiest airports. The radial, centralised plan will provide an exceptional passenger experience with minimal walking distances and increased connectivity. 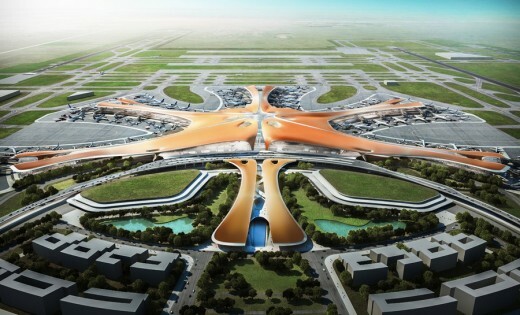 This layout also greatly improves adaptability and sustainability by enabling the terminal to operate in many different configurations depending on the varying aircraft and passenger traffic throughout each day. The design celebrates the connectivity and dynamism of air travel; expressed as a sequence of inspirational inter-connected public spaces. 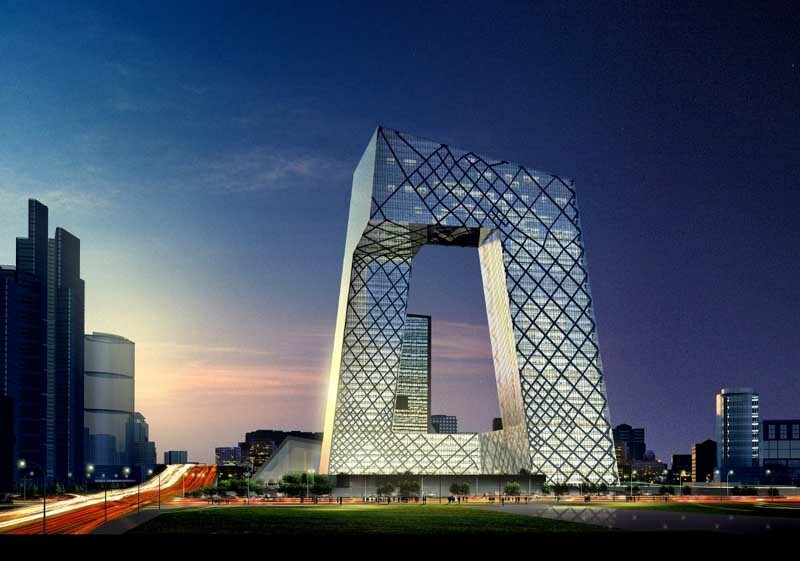 The flowing rooflines cover the large, column-free spaces and provide a sense of scale and orientation – welcoming the world to Beijing. All of the passenger pathways through the terminal converge within the central courtyard, creating a multi-layered civic space – a public square and meeting place for passengers from around the globe at the very heart of the terminal building. This radial layout greatly reduces passenger transfer distances between all departure gates – and also minimizes the passenger transfer distances between their ground transportation (rail and road) and aircraft. Although large to accommodate the many passengers and aircraft, the terminal building maintains a relationship to the human scale and direction. 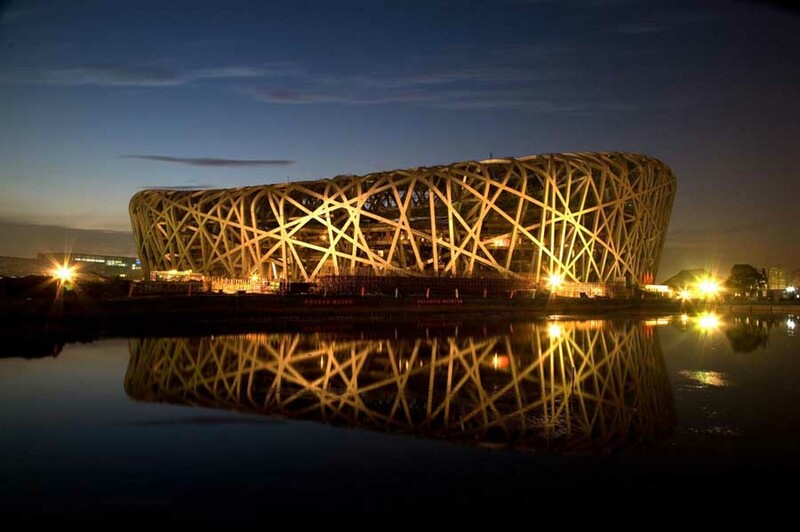 These characteristics have evolved from traditional Chinese architecture where intricate compositions of connecting volumes define exterior and interior spaces that guide visitors as they progress through the architecture. In this airport terminal design, passengers are similarly guided seamlessly through the building via a sequence of public spaces that flow into each other, leading to the grand central courtyard – the primary gathering space for departing, arriving and transferring global passengers – ensuring every visitor has the most convenient and enjoyable user experience. The overall symmetry of the airport terminal design, together with its flowing, interconnected forms create a fluid composition which evokes the harmony and balance evident in Chinese natural landscapes, while its colours and materials are an expression of visual language within traditional Chinese culture. 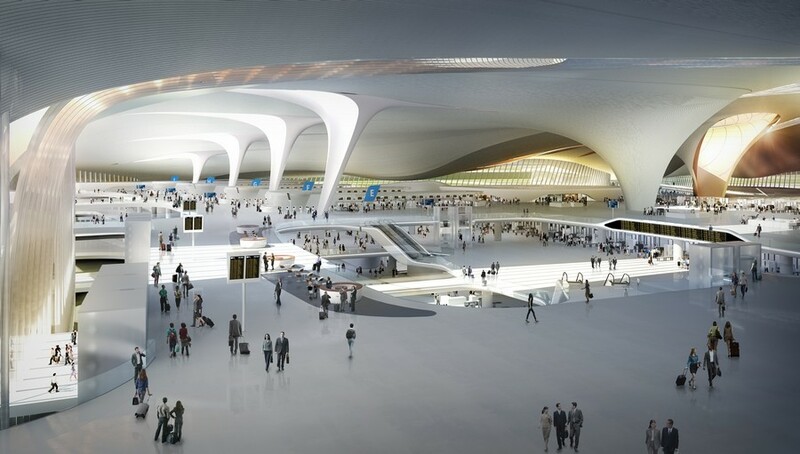 The design of the new terminal reflects China’s rich cultural history and its remarkable future at the centre of a worldwide stage.